Yuste and his colleagues showed in a 2003 study in Nature that neurons coordinated their firing in small networks called neural ensembles. Later they showed that neural ensembles in living animals fire one after the other in sequential patterns. "The researchers think that the network of activated neurons they artificially created may have implanted an image completely unfamiliar to the mouse. They are now developing a behavioral study to try and prove this." “We think that these methods to read and write activity into the living brain will have a major impact in neuroscience and medicine,” said the study’s lead author, Luis Carrillo-Reid, a postdoctoral researcher at Columbia. "Scientists believe they may have implanted an image in the mind of a mouse"
Memory engram storage and retrieval. Tonegawa S1, Pignatelli M2, Roy DS2, Ryan TJ3. "Neurons Compete to Form Memories"
"When the brain forms a memory, a group of neurons called an “engram” stores that information"
"The same populations of brain cells encode memories that occur close together in time, according to new research." How is information stored in the brain? How do we store exam study and how do we store traumas? How do we comprehend narratives and how are we persuaded? Why is ISIL successful in recruiting using distortion of religious narratives? Appeal to social sciences, humanities and cognitive neuroscience. The neurobiology of narrative comprehension and the connection between narrative and persuasion. What happens when you study for long to assimilate information? You send electrical signals to your nerve cells and most importantly you send them with high frequency. When you study for a short time you just don’t get to this high frequency. Between neural cells there are small gaps or clefts. One cell releases a neurotransmitter such as glutamate which binds onto receptors of the other (e.g. glutamate receptors such as NMDA and AMPA) and triggers molecular responses. This biological junction setting is called a "synapse". If a high frequency electrical signal arrives, neurotransmitter just keeps on being released and those big quantities trigger strong responses on the neighboring cells, which are also long-lasting. The phenomenon is termed Long Term Potentiation or LTP. Note the baseline of electric activity and the application of a stimulus at time point 0 which induces a big and long lasting response (LTP) shown with the red rectangle. Long Term Potentiation or LTP allows you to store information in your brain. On the contrary, if a low frequency electric signal arrives on a neural cell, then the cell picks up the slow rhythm and it actually picks up the habit to slow down the neurotransmitter release. In this way it also brings down the activity of its neighbor. The phenomenon is called Long Term Depression (LTD). Here is a study that is considered to be a milestone for information storage in the brain or memory formation (citing Eric Kandel). Engineering a memory with LTD and LTP. Nabavi S, Fox R, Proulx CD, Lin JY, Tsien RY, Malinow R.
Nature. 2014 Jul 17;511(7509):348-52. doi: 10.1038/nature13294. Epub 2014 Jun 1. Consider a mouse that while walking around in its cage figures out that if it pushes a lever it will get a sweet waterdrop. It just starts to play with this. You get some mice that have figured out this and you do the following experiment. You apply a fear stimulus, a foot electroshock. Reaction: The animal will stop, will freeze. You apply a foot electroshock and you play a tone. Reaction: idem. You play a tone. The animal will stop, will freeze. Reaction: idem. Why did it stop? A tone is not scary. Because it associated the tone with the fear stimulus. Because it created a fear association, a fear memory. It stored in its brain the information of the tone as fear. How did it store that information? Did it use the mechanism of Long Term Potentiation? The scientists looked if there was a lot of receptor activation and they confirmed that there was. They therefore suggested that LTP was the mechanism. A high frequency electric signal arrived and triggered events as described. Can you reverse it? Do we realize what this means? Could we erase a fear association, a fear memory? Could we erase trauma? If the brain codes the storage with high frequency electricity, just provide low frequency so that it picks up this habit. This is what the scientists did. They used an LTD (Long-term-depression) protocol and they found out that when the mouse would hear the tone it would no longer be scared! This is indirect proof that LTP was the originally mechanism. Could you double-prove it? What if you did LTP again? Would it reactivate the memory? This is precisely what happened. The mouse was scared by the tone. So the scientists first created an association “tone to fear” similar to a Pavlov experiment. Then they electrically erased it and then they electrically reactivated it! Let’s get a little more technical. How does a tone make a mouse scared? Auditory areas/nuclei provide input to a fear center, the amygdala. The scientists used a “construct” that activates the neurons of the auditory area when light is shined on it. Depending on the frequency of the shining light you can modulate the frequency of the electrical activation. If you want to do an LPT you shine light at 100Hz. If you want to an LTD you shine light at 1Hz. 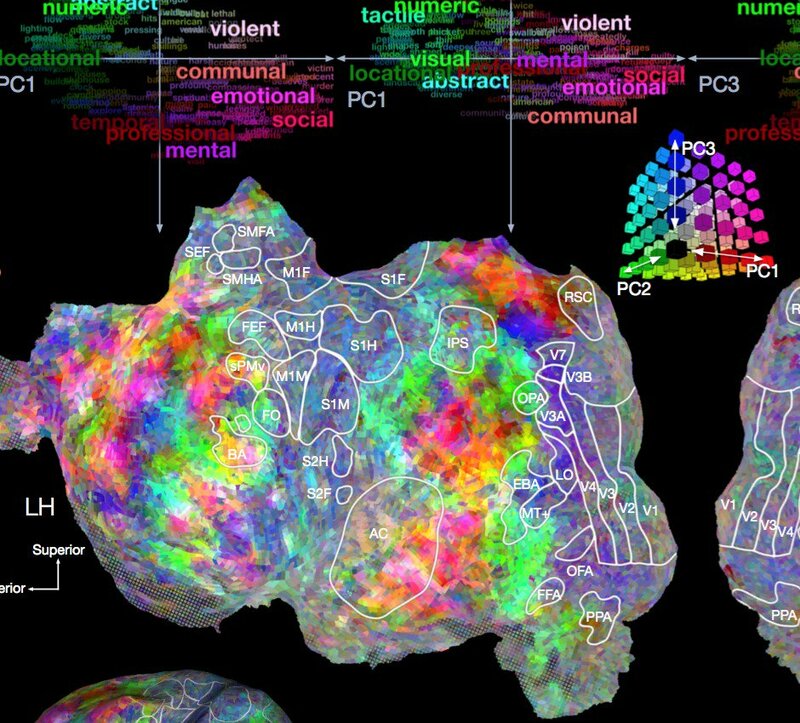 BBC Future article citing above grant and referring to the "Pentagon’s growing interest in the neurobiology of political violence"
While Zak is focusing on oxytocin, other researchers working with Darpa’s support are trying to understand the parts of the brain responsible for values and ideals. Emory University professor Greg Berns, a neuroeconomist, recently conducted an experiment that involved paying people to give up their fundamental ideals and beliefs. These findings, suggests Berns, means there is a biological basis for ethnic conflict. “Many of the conflicts that we currently face internationally are ultimately about control of biology,” says Berns. Whether creating better narratives can help reduce conflict is still an open question, however. Neuroscientists at the Massachusetts Institute of Technology (MIT), in Cambridge, Massachusetts, have been studying the role of stories and dialogue on those involved the Arab-Israeli conflict, and in particular, how stories affect sympathy for others. David Matsumoto, a professor of psychology and director of the Culture and Emotion Research Laboratory at San Francisco State University, is being funded by another Pentagon initiative, called Minerva, to conduct scientific research on the role of emotions in inciting political violence. Matsumoto and his colleagues are studying language and facial expressions used by political leaders to see if those can be used to predict future violence. 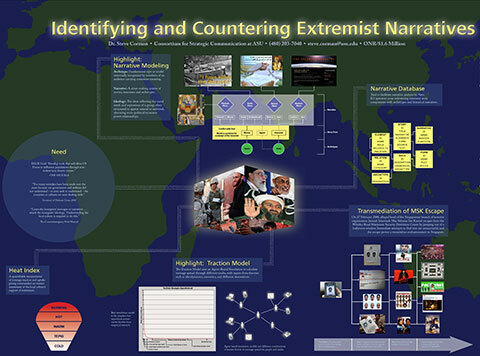 In 2009, the Arizona State University (ASU) Center for Strategic Communication (CSC) was awarded by the Office of Naval Research a $4.3 million dollar research grant to study Islamist extremists and their modes of strategic communication. In 2012, the Arizona State University (ASU) Center for Strategic Communication (CSC) was awarded by DARPA a $6.1 million dollar research grant to study the neurobiology of narrative comprehension and persuasion. As the grant included the use of Transcranical Magnetic Stimulation (TMS) to examine if it is possible to disrupt narrative comprehension and persuasion, ethical concerns become apparent. Which brain areas light up during the decision? With her usual acuity, Uta @utafrith captures exactly the central point of our paper ! 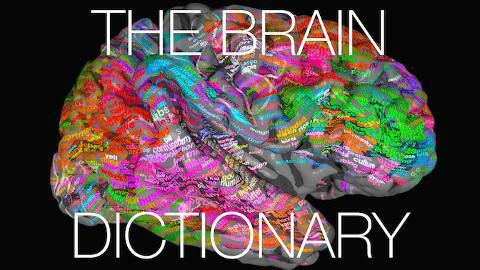 Which brain areas light up when you navigate through sentences to get to the point i.e. who did what (subject)? It depends on the structure of the information i.e what kind of language trees you have to subtract or join to get to the point. "This morning the kids who exhausted their parents slept". "Ce matin les enfants qui épuisaient leurs parents dormaient." Notice what kind of elements are side by side; e.g. “parents” and “slept” are side by side but they are not related to each other; it is not the parents who slept. Participants of the study were shown for less than a second “probes” i.e. small word groups like “the parents slept” or “the kids slept” and were asked to press buttons to say if it is a match or not with the big sentence (true or false). "Even if the kids spoke loudly their parents slept." "Même si les enfants parlaient fort leurs parents dormaient." Notice what kind of elements are side by side e.g "kids"-"spoke" and "parents"-"slept". This sentence structure is termed “adjunct” (etymology: ad=to and iungere=to join) as related elements are joined. The first one is termed “embedded”. The information that we want to retrieve, the “who” or the subject is “embedded” (Note: personal interpretation). 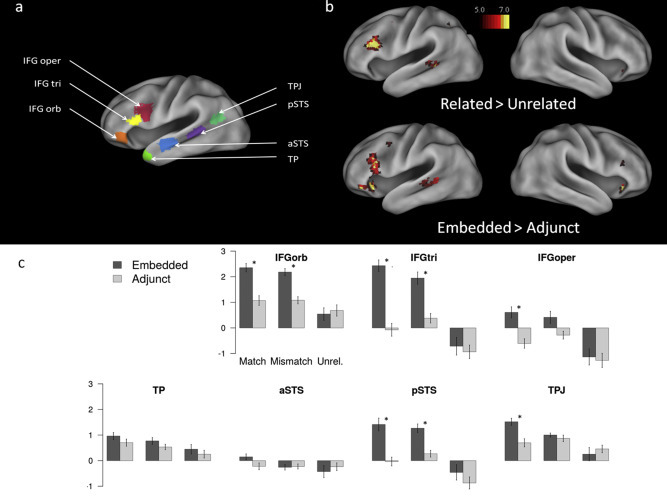 What brain areas light up when subjects processed "embedded" versus "adjunct" tree structures? The left temporal lobe holds the primary auditory cortex, which is important for the processing of semantics in both speech and vision in humans. Wernicke's area, which spans the region between temporal and parietal lobes, plays a key role (in tandem with Broca's area in the frontal lobe) in speech comprehension. And here are the results of the study as presented in Figure 2 of the publication. Please refer to the legend of the figure for more details. Cours enregistré: "L'engagement actif, la curiosité, et la correction des erreurs"